– Located on the Isle of Wight where they were managed by ex T-Rex road manager Mick O’Halloran. Towards the end of 1982 they moved to Bath. 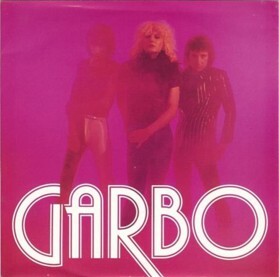 – Apart from the 7″ single below, Garbo has recorded enough material for maybe more than one album at Crescent studio in Bath. At least one song ‘When The Ice Breaks’ was produced by David Lord (Peter Gabriel’s producer) at the same studio.